The simplicity + appeal of black + white. When color might be distraction. The featured photo is of the first glorious orange poppies in my garden many years ago. I shot this with my D200 (a DX Nikon camera) + my 105 f/2.8 G. This lens in now manufactured in China. My version was made in Japan. The 105 is the oldest lens in my kit. I called this photo Cups for the Sun and left it in full color for years. Then I decided to add an infrared filter to see how it would look, and I rather liked it. Students at Conte Community School with the flyers they made after they learned about recycling. The Recycling Children was one of the first photos I made during my five years at the Center for EcoTechnology. These were children at Conte Community School. My co-workers had been running an after school program there and on that day had discussed recycling. When I arrived the kids were busy creating there posters. When they were done, they gathered at one end of the room + started prancing + posing. I turned a chair around, put my elbows on the back of the chair + started taking photos. This photo was penultimate image I captured that day, and I knew it when I had it. I took one more for insurance, but it was that second to last image. Years after this there was a desire to wrap a CET vehicle with this photo, but we worried that the permission the school gave us did not extend to that use. We used this photo in print collateral, the annual report, and things of that nature. Always in color. When I was putting together my portfolio, I decided to strip the image of color + I quite like it in black + white! Yep, the space was huge and miles between them. 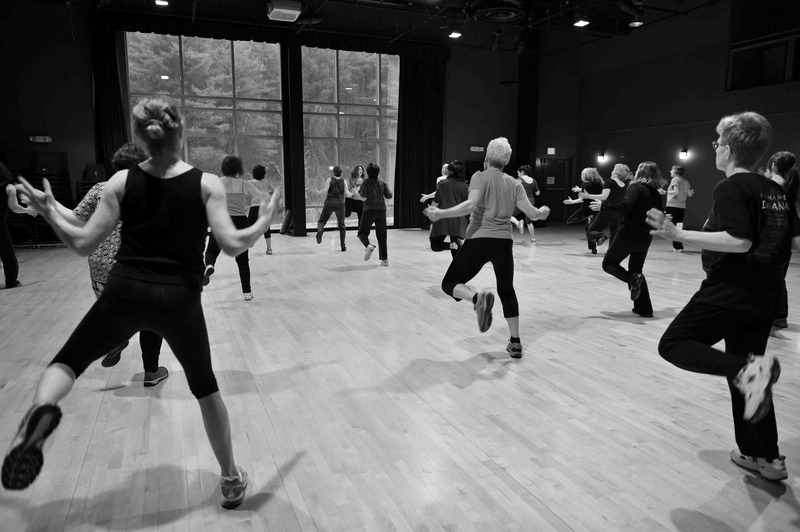 The Exercise Class at right was a photo I made during a brief stint at Berkshire South Regional Community Center. I spent about decade total working for small non-profits like Berkshire South, and at each of them, I took a lot of pictures. Because of course, they were doing super photogenic work. At each organization I was always striving to capture what I called iconic imagery. Imagery that would illustrate each organization in a single image. There are a few images here that I feel work so timelessly in black + white.